The Dual Cable Column is an multi-award piece of equipment.This unit offers 360 degree adjustment which gives you so many optons. It’s independent weight load design allows for two users to be training at the one time. The high quality weight plates offer smooth and durable operation with noise reduction absorbing cushions included. The Dual Cable Column comes with full shrouds and 50mm x 150mm oval tubing for strength and durability. 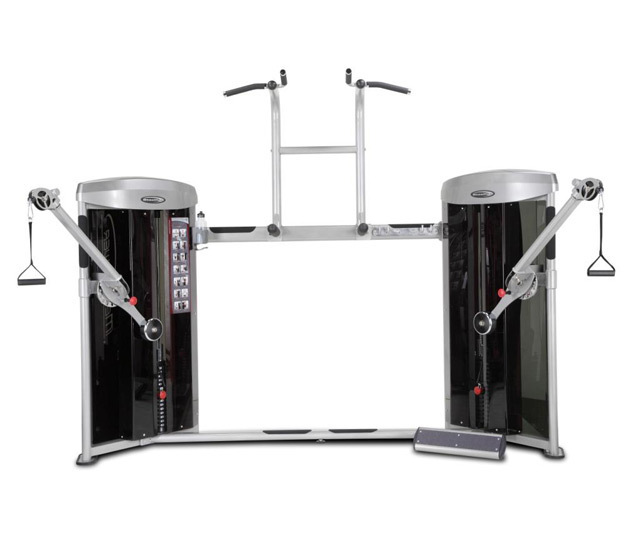 Complete with fully adjustable arms this unit has everything you need and more.